Submitted by Alatariel to Lego Ideas, this set quickly gained the 10,000 supporters it needed to be entered into the review phase. 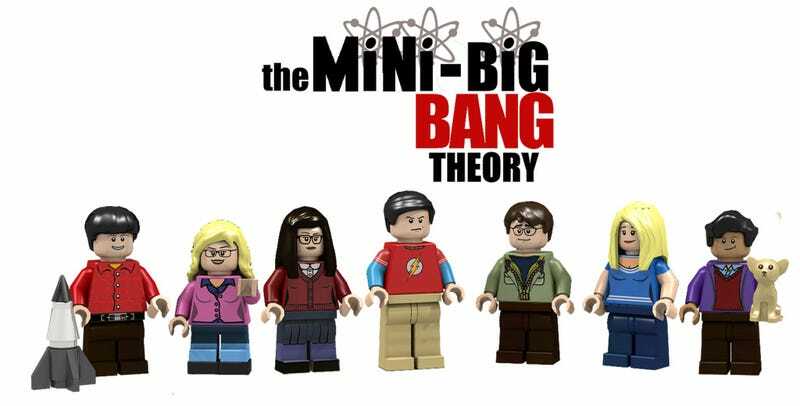 Today, Lego announced they will produce a set based on the The Big Bang Theory in near future. Bazinga! The Big Bang Theory set should have a ton of minifigures in it if they are going to represent the entire primary cast. I'm not entirely sure how they are going to deal with all the DC, Marvel and Star Wars licensed stuff that could potentially show up. We'll have to wait and see what the release set looks like and what is included.